If you’re searching for family apartments in Cherry Hill, you’ll want to consider not just the advantages of the neighborhood but also the on-site amenities. At Dwell Cherry Hill, residents are close to all of the shopping, dining, and entertainment that the town offers, yet also just far enough away to enjoy the peace and quiet of the property. Once they’re home, residents are able to take advantage of a robust lineup of features that appeal to residents of all ages and that encourage families to enjoy their home together. The town is perhaps best known for Cherry Hill Mall, and anyone preparing to invest in family apartments in Cherry Hill will want to familiarize themselves with the family-friendly aspects of the shopping complex. The mall is home to more than 150 stores, with a variety that makes it a perfect fit for families. No matter the shape or size of your family, all members can get suited on a trip to Cherry Hill Mall, whose stores sell everything from kids’ clothes to video games to home goods to both discount and high-end adult wardrobe items. The mall features an array of family-friendly dining options, including in the neighborhood around the shopping center, which is home to casual restaurants, buffets and other eateries that will be sure to leave your whole family feeling satisfied. Also near Dwell Cherry Hill are family-friendly activities like the popular new escape rooms, Garden State Discovery Museum—a paradise for curious little ones!—and a number of new breweries that welcome kids, offering games and other entertainment while their parents sip and socialize. The offerings at Dwell Cherry Hill are just as varied. 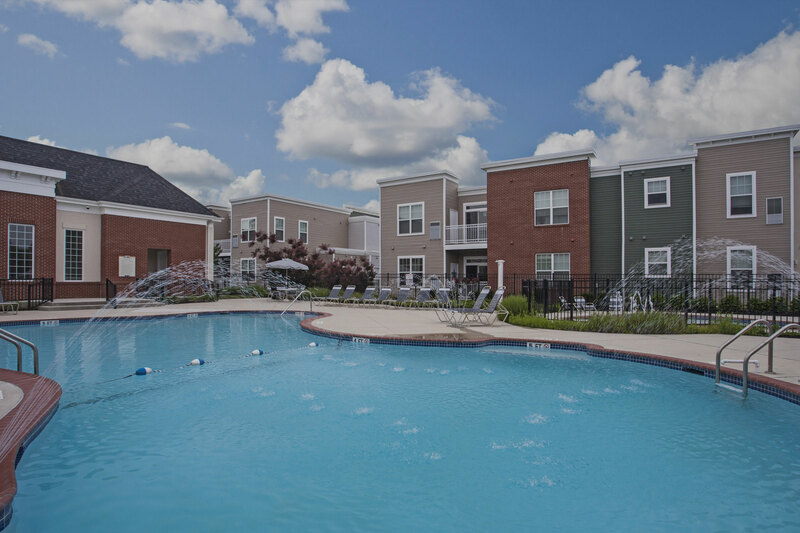 Family members of all ages can enjoy the beautifully landscaped pool, barbecue pits and picnic areas, which encourage families to put down the phones and enjoy one’s another company in a beautiful setting. Adults can also enjoy some relaxation time at the state-of-the-art fitness center while little ones romp and run at the kids’ playground. And don’t forget, the property is also pet-friendly and features a fenced-in dog park—because four-legged friends are also part of the family! To learn more about our family apartments in Cherry Hill, or schedule a tour of our wonderful community, contact us today!